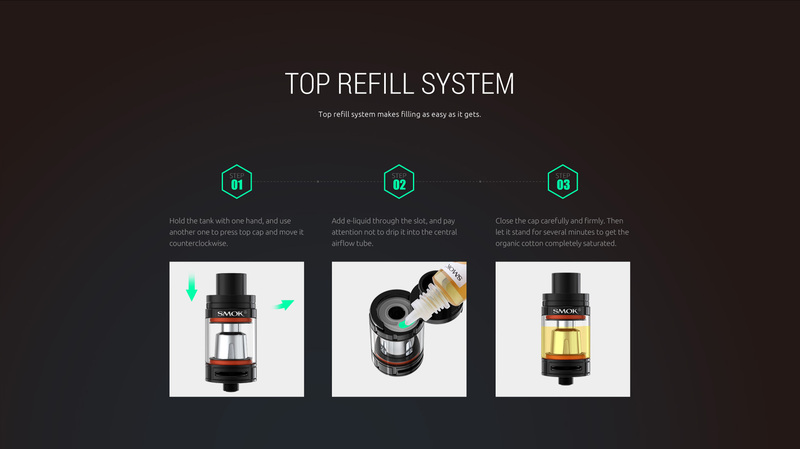 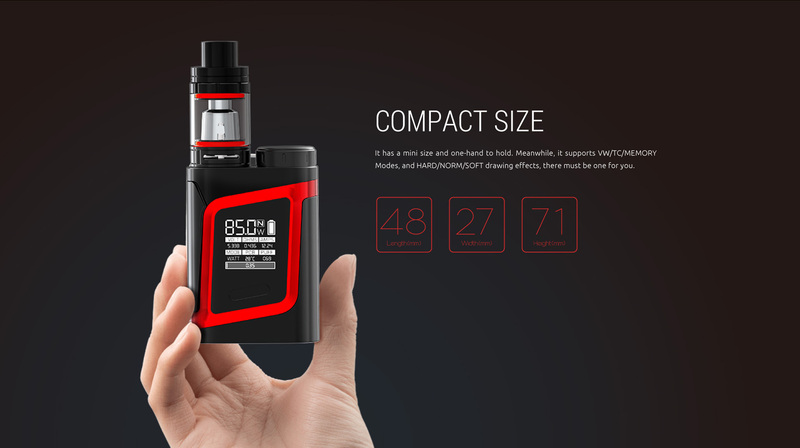 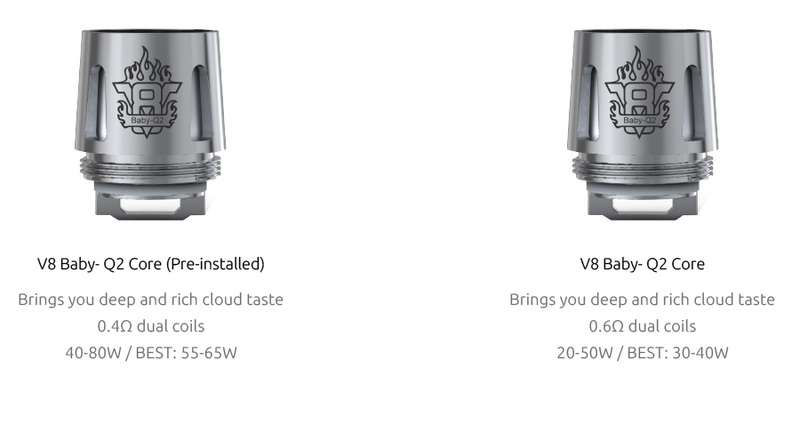 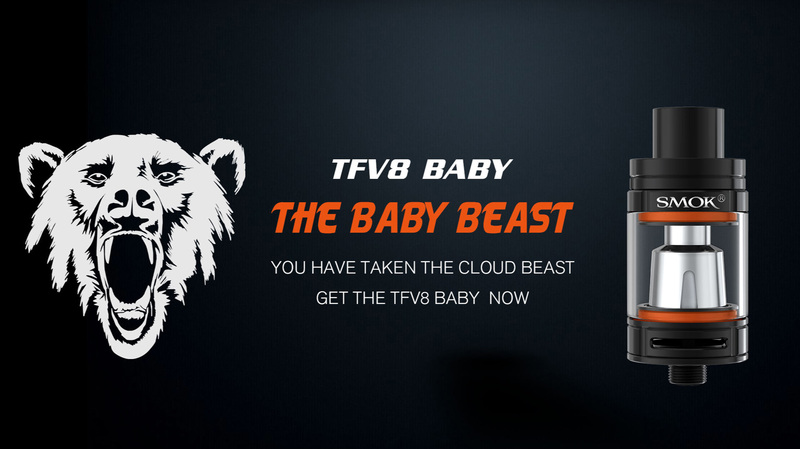 A tiny mod kit with 3 ml capacity of TFV8 Baby tank, powered by maximum 85W output with interactive OLED screen to display more vaping data specifying three modes: temperature control (TC) of 200-600degree F, variable wattage (VW), advanced memory modes and the innovative HARD/NORM/SOFT drawing effects to display vaping data. 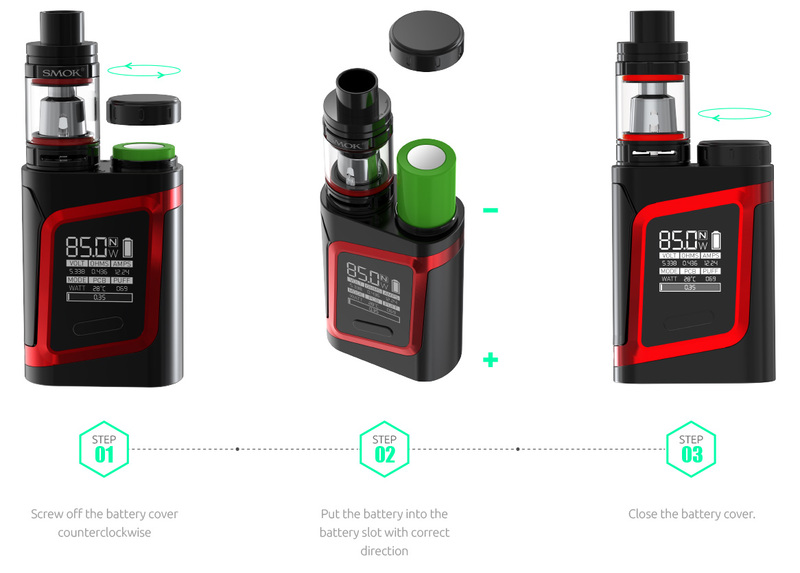 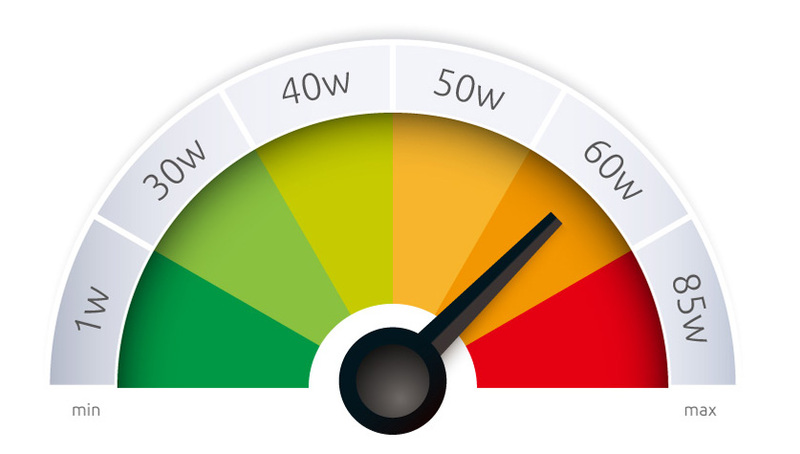 It is Extremely compact, beautiful styling and vibrant informative screen. 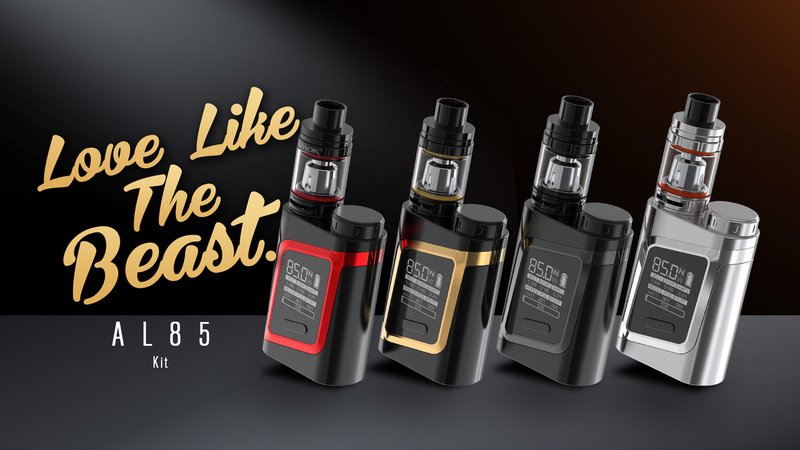 Travel-friendly kit with adjustable airflow system brings out the amazing vaping experience like the beast. 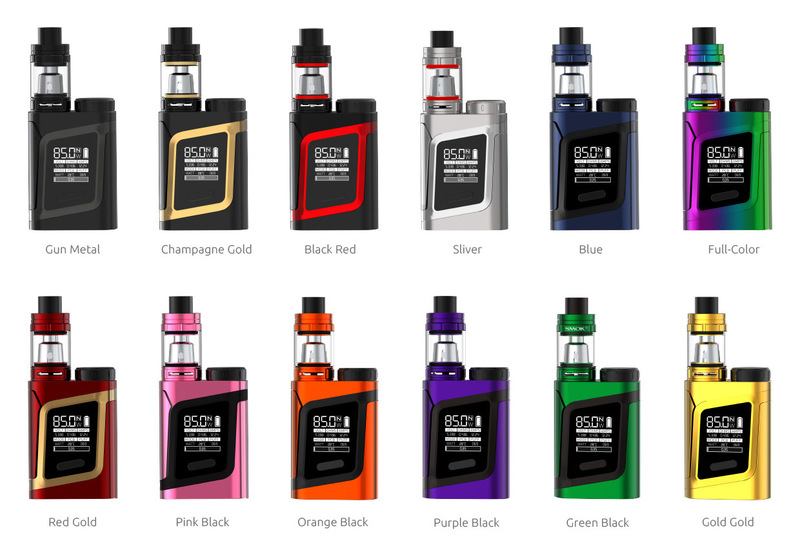 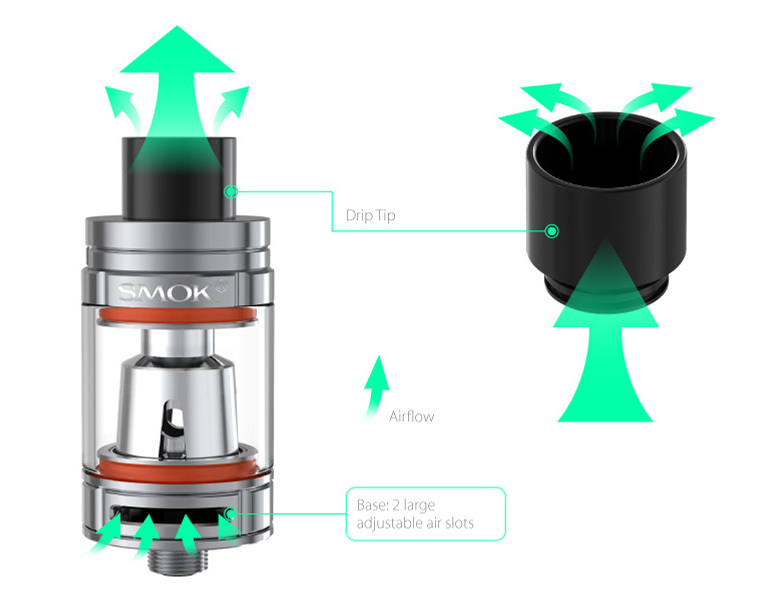 SMOK AL 85 offers a variety of colors like Gun Metal, Black Red, Silver, Champagne Gold, Purple Black, Orange Black, Red Gold, Green Black, Full color.